A display of the START Summer Schools participants work will be on display from Friday 30th until Wednesday 4th September in the Dundee Contemporary Arts, Activity Room, Level 4. 152 Nethergate, Dundee. 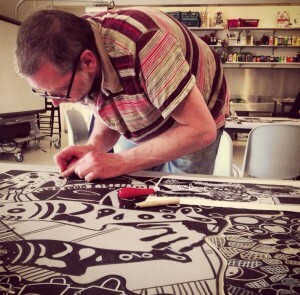 Background: Tayside Healthcare Arts Trust (THAT) and Dundee Contemporary Art (DCA) have collaborated for 8 years in the development and delivery of short printmaking classes for adults with significant Long Term Health Conditions (LTC). Originating from a once a week programme of 8 sessions in 2005 as part of THAT’s Stroke and Art Project (ST/ART) this partnership has grown to become a core relationship for both organisations. It is also an important model for Creative Engagement in a mainstream setting with participants from a wide range of health conditions including Stroke, Dementia, Parkinson’s and COPD (breathing difficulties) able to engage through this multi-medium discipline. Objectives: This presentation will review the quantitative and qualitative evidence of the last 5 years delivery of the ‘Summerschools’ and demonstrate that creative engagement through printmaking in a mainstream setting enhances quality of life, promotes social inclusion, empower the individual and makes a significant contribution to their health and well being. 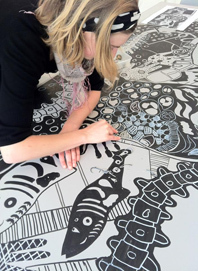 Methods: From 2007 – 2011, 133 self selecting participants were engaged through the ST/ART DCA ‘Summerschool’ programmes working with experienced printmakers to explore their creative potential. Baseline information was collected on each participant before their programme as were their views of their experience after their programme. Artists observations, participants anecdotal comments and a substantial visual archive of activity and out puts provides additional valuable information. Results: Our quantitative results show that participants’ experience significant increase in their perceived capability, maintain very strong attendance rates, value the experience very highly and wish to engage further. Our qualitative responses fall into two principal categories; positive performance and positive achievement and these reveal a range of likely psychosocial benefits. Conclusions: The highly flexible and multi- medium nature of printmaking makes it a very successful and popular access point for the delivery of Creative Engagement in a mainstream cultural setting. The Big Print day will be taking place on Saturday 31st August outside the Duncan of Jordanstone College of Art from 2pm-5pm…. All are welcome to come and watch the fun! 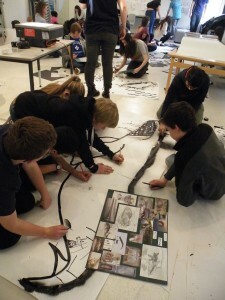 The Big Print Project is an exciting outreach project for Impact8 and Print Festival Scotland, bringing together local schools, community groups, students and professional printmakers to create a giant artwork, inspired by Dundee life and landscapes. Led by the Creative Learning Team from The McManus: Dundee’s Art Gallery & Museum, children, young people and adult learners have been taking part in a busy 6 month programme of printmaking, drawing and collage workshops across the city. Using The McManus collections as a starting point, workshop themes include social and natural history, science, culture and architecture. 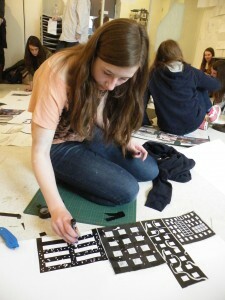 These resulting artworks created by participants will be transferred by artists, students and volunteers and cut into lino. 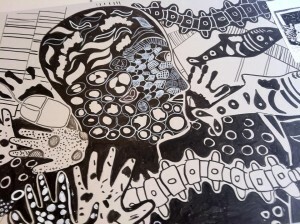 This work will culminate in a day of giant printmaking during the conference. 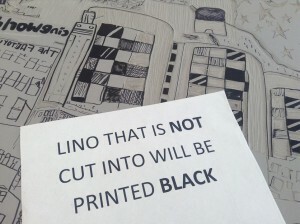 Join the Big Print Team and participants for the final reveal of the finished artwork on Sat 31 August, where the collaborative linocuts will be printed in the University grounds – by the Big Print Roadroller! Participating Big Print groups include Greylodge Youth Group, McManus Youth Action Group, Women’s International Centre, Dundee College, Blackness, St Joseph and Park Place Primaries, Morgan Academy, Dundee High and Monifieth High School. 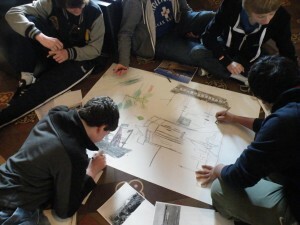 The project is also supported by student volunteers from Duncan of Jordanston College of Art.